Murray & Roberts had a unitary Board with ten directors, of whom eight are independent non-executive directors and two are executive directors. The composition of the Board promotes a balance of authority and prevents any one director from exercising undue influence over decision-making. 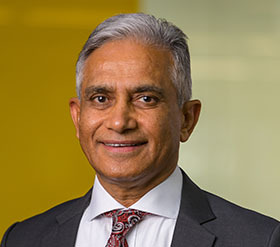 Suresh was appointed to the Board in July 2015 and became chairman in 2017. He is a member of the audit & sustainability committee. Suresh is a Chartered Accountant and is the Retiring Territory Senior Partner for PwC Africa. 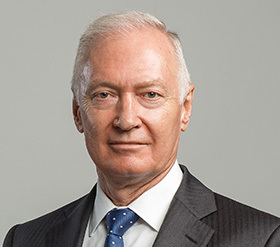 He served on the PwC Global Board from 2005 to 2009. Suresh is the Chairman of the South African Institute of Chartered Accountants (SAICA) and a former member of the Accounting Standards Board. Suresh is technically very experienced and is well versed in the latest accounting and governance developments. 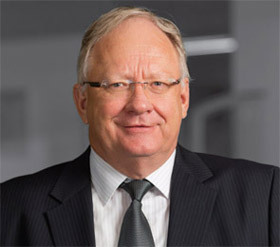 Ralph was appointed to the Board in August 2014. He is the chairman of the health, safety & environment committee and a member of the social & ethics committee. 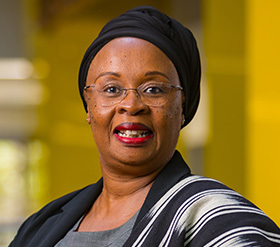 Ntombi was appointed to the Board in 2013. She is chairman of the social & ethics committee and a member of the remuneration & human resources committee. She is also a trustee of The Murray & Roberts Trust. She owns Nthake Consulting, a human resources consultancy business and has more than 25 years of experience in human resources. Ntombi is an independent non-executive director of Mpact, Redefine Properties and Europe Assistance Worldwide Services (South Africa). Xolani joined the Board in August 2014 and is a member of the risk management committee. Xolani is a physicist with an MSc and PhD in Applied Physics from the University of Lancaster (UK) and has completed an Executive Development Programme at the University of the Witwatersrand, in partnership with Harvard University. He is currently a non-executive director of South 32 Limited. 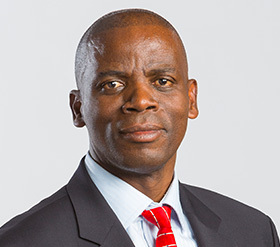 Xolani has experience in the Power, Engineering and Mining sectors, and was Chairman of BHP Billiton’s South African Operations, having joined BHP after establishing Bateman Africa as the first BEE Engineering company. Prior to that, Xolani played an important role in the restructuring of the electricity supply industry in South Africa, heading up the National Electricity Regulator. He has also worked at the CSIR, the Atomic Energy Corporation and spent time as a Physics Researcher in Australia. Keith was appointed to the Board in 2015. He is a member of the Risk Management, Health Safety & Environment and Social & Ethics Committees. Keith, has over 30 years’ experience in the oil and gas industry, including 18 years with Shell and has a broad knowledge of the resources sector. 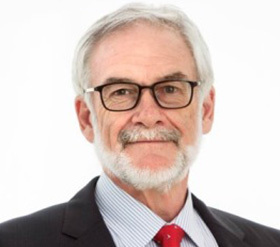 Keith chairs the Board of the National Offshore Petroleum Safety and Environmental Management Authority and the Industry Advisory Board of the Australian Centre for Energy and Process Training. 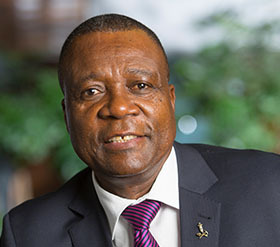 He is Non-Executive Chairman of Geodynamics Limited and Base Resource Limited and a Non- Executive Director of Oil Search Limited and Independence Group NL. 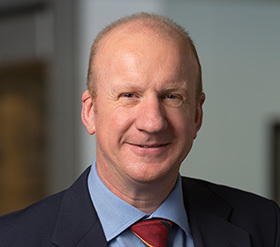 Keith joined the board of the then listed company Clough Limited in August 2008 and was Chairman from 2010 until its acquisition via scheme of arrangement by Murray & Roberts. Alex joined the Board in August 2017 and is a member of the remuneration & human resources committee, health, safety & environment committee and the social & ethics committee. He is a lawyer and is the Managing Director of Copper Moon Trading (Pty) Ltd. 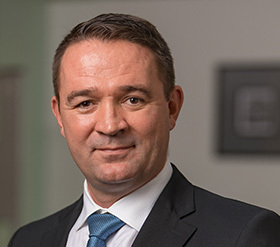 Previously, he was employed by Coca-Cola South Africa as a Franchise Director for South Africa. He was Country Manager for Kenya, Senior Director: Operations Planning and Legal Director for Coca-Cola Southern and East Africa. Prior to joining Coca-Cola, Alex was the Legal Director for Global Business Connections in Detroit, Michigan. He also spent time at Lewis, White and Clay, The Ford Motor Company and Schering-Plough in the USA, practising as an attorney. Alex was a Fulbright Scholar and a member of the Harvard LLM Association. Alex’s directorships include Bidvest Group Limited, African Rainbow Minerals Limited and Sterling Debt Recoveries (Pty) Ltd.
Emma joined the Board in August 2017 and is a member of the risk management and audit & sustainability committees. She is a Chartered Accountant and is currently the Head of Risk Advisory Services at Nkonki Incorporated. She completed her articles and worked at KPMG, before taking up Chief Financial Officer positions at Carl Zeiss Optronics and subsequently at Masana Technologies. Emma serves as non-executive director of Tiger Brands Ltd and is a member of the Audit Committee. She previously served as a non-executive director of Total Coal South Africa (Pty) Ltd and chaired the Audit & Risk Committee as well as the Social and Ethics Committee. Diane joined the Board in August 2017 and is a member of the risk management and audit & sustainability committees. She is a Chartered Accountant and began her career at PwC where she ultimately became Partner-in-charge of the Transaction Services Group, specialising in acquisition due diligence and listings. She has been the Chief Financial Officer at Altron and later Old Mutual South Africa. She became Chief Executive Officer of Old Mutual Investment Group in 2011 and remained in this role until October 2016. She was a finalist in the 2001 Businesswomen’s Association, Business Woman of the Year awards and was voted Africa’s Leading Woman in Business in 2015 by African Investor (New York). 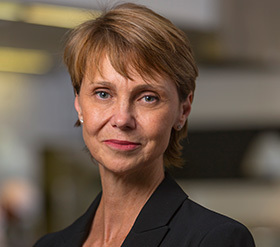 Diane currently serves as non-executive director to Base Resources Limited and Old Mutual Real Estate Holdings Ltd, is the Chairman of Marriott Unit Trust Company Ltd and is a Trustee of the DG Murray Trust. Henry joined the Group in 2001 and was appointed to the Board as Group chief executive in July 2011. He is a member of the health, safety & environment committee. Henry is a director of Murray & Roberts Limited, Murray & Roberts International Holdings and of Clough Limited. Bert joined the Group in 2011 and was appointed Group Secretary in February 2014. Bert is a Chartered Secretary and has more than 10 years experience in a listed company environment.